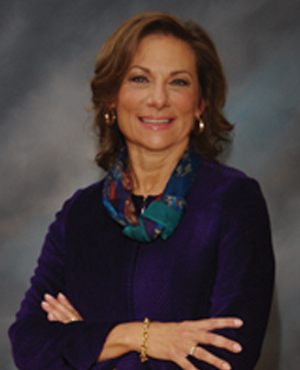 Nanci Mayer-Mihalski has retired from a career in pharmaceutical consulting and research. She currently volunteers with the Delaware Breast Cancer Coalition as Chair of the Research Committee and Co-Chair of the Annual Breast Cancer Update and is a former President of Wilmington Women in Business, and Board Trustee of the Delaware Breast Cancer Coalition. Ms. Mayer-Mihalski’s past positions include President of Mayer-Mihalski Consulting, Inc., a consulting company that specializes in areas of risk management, technical training, and medical marketing; Executive Vice President of IMPACT Learning, Inc., where she worked with employees in numerous Fortune 100 and 500 companies helping improve their job performance; Manager of Clinical Education and Health Management for the DuPont Merck Pharmaceutical Company, responsible for identifying specific therapeutic needs of the HIV community in advance of the anti-retroviral agent Sustiva®; Manager of Development and Training for the DuPont Merck Pharmaceutical Company’s North America Division, managing sales training, training for national sales meetings, sales management development, project management, and time and career management; as well as research based positions at DuPont and the National Cancer Institute. Ms. Mayer-Mihalski has co-authored several nationally published clinical journal articles and a book chapter on monoclonal antibodies. She received a Bachelor of Science degree in Biology and has completed most of the course work required for a Master of Science in Microbiology. Nanci Mayer-Mihalski currently resides with her husband, Timothy and dog, Marta in Hockessin, DE. They enjoy traveling the world as well as entertaining friends and family.